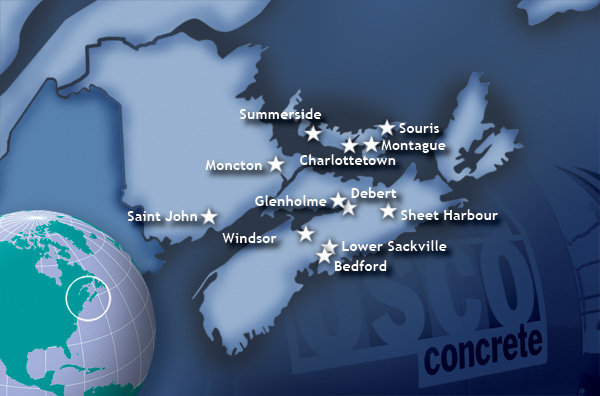 The OSCO Construction Group currently operates ready-mix plants in: Saint John, NB; Moncton, NB; Summerside, PEI; Charlottetown, PEI; Montague, PE; Souris, PE; Debert, NS; Windsor, NS; Sheet Harbour, NS; Lower Sackville, NS; and Bedford, NS. We also operate an aggregates plant in Glenholme, NS. Our ready-mix products are marketed throughout Southern New Brunswick, PEI and Nova Scotia.